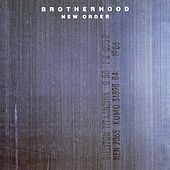 "Bizarre Love Triangle" aside, the majority of New Order's 1986 record is mostly a return to their stark, guitar pop roots. "Weirdo" is one of New Order's finest pop moments, as is the Electro-inspired "All Day Long." The tell-tale basslines and guitar work are in top form, as are Bernard Sumner's wonderfully broken vocals. One of their most cohesive records.